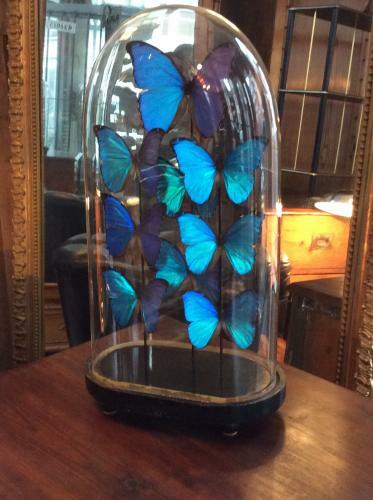 A superb domed display of Blue Morpho (Morpho rhetenor) butterflies. of the Nymphalidae family. In Victorian hand blown Glass Dome case.